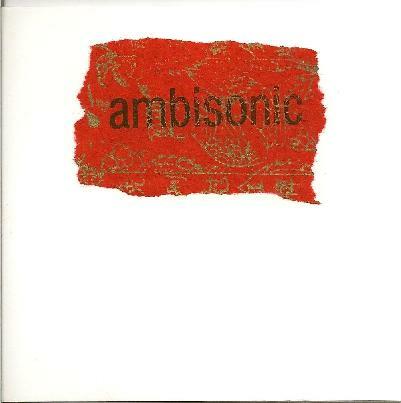 Ambisonic is the Toronto duo of Erik Culp on guitars, Moogs, and keys and Paul Barry on drums and piano. Throw in some vintage bass pedals, Theremin and stylophone to that mix and you can tell immediately that for just two musicians, they have a wide sonic palette to work with. AI readers may be familiar with Erik Culp from his solo work as The Atomic Cosmonaut and as bandleader of the now defunct space rock band Mind of a Squid. Ambisonic definitely follows more in the footprints of his solo work, being quirky complex instrumentals that draw on progressive rock and electronica, with some elements of space rock in there as well. But with the addition of Paul Barry, the two of them are able to take the sound further than ever before. The music of Ambisonic is complex and energetic, eschewing for the most part the quieter, ambient songs of Culp's solo efforts in favour of a more dramatic and intense sound. Culp's exhilarating guitar work locks in tightly with Barry's precise and outstanding drumming, while the keyboards layer in textures and melodies that flesh the sound out into a whole. The only quieter pieces really are the three short movements of Luminaire spread throughout the album, that draw on classical styles with reflective piano work sliding gently over shimmering and spacey electronics. They give a nice overall balance for a dynamic album of progressive music that may just appeal to both prog rock and space rock fans alike.